Want to know more about how to implement Transformational Marketing in your business? 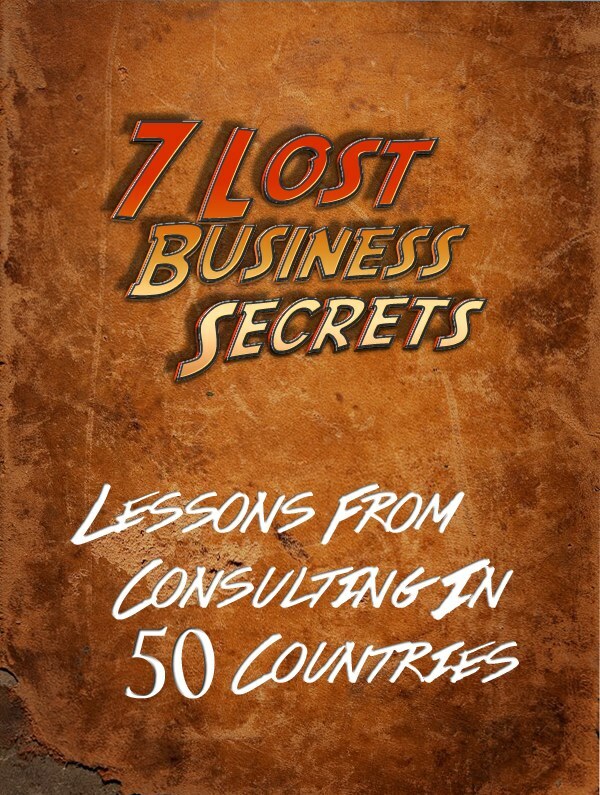 Discover the difference between 6 and 7 figure businesses. Turning prospects into customers is the lifeblood of any successful business. Mastering the process is the difference between a business struggling to break 6 figures and a company doing 7 figures or more. 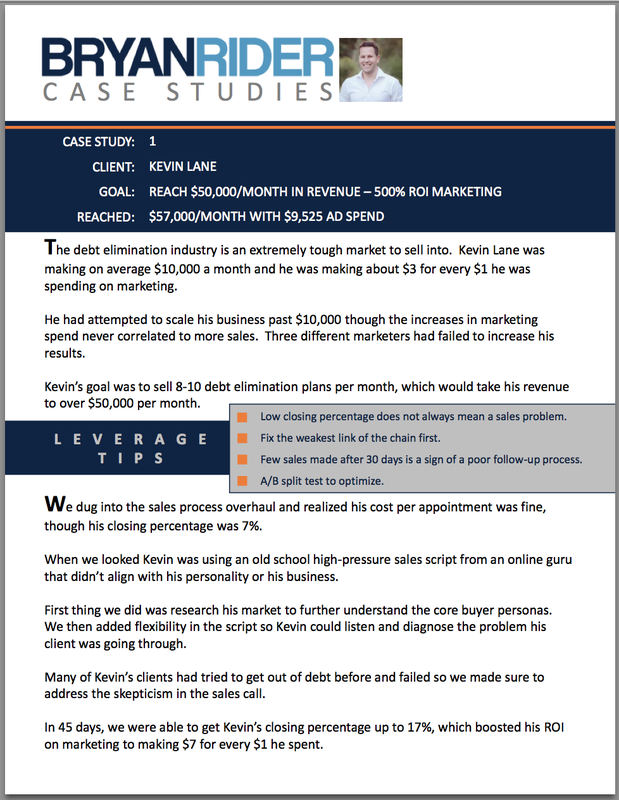 Download the case studies to learn how to build invisible influence into your sales process. 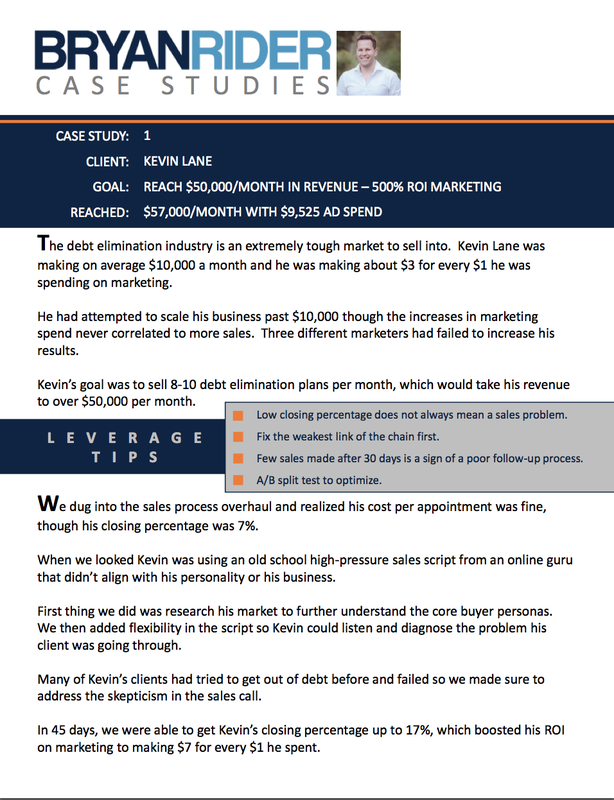 Find out how a coaching client went from $5,000 to $25,000 a month over the summer by leveraging a mass appeal offer.